This entry was posted in Pinboard Bookmarks and tagged breaking_the_book, design, DH, gaming, google, Notetaking on 16 Jun 2016 by morgan. This entry was posted in Pinboard Bookmarks and tagged algorithms, corporaterhetoric, google, procedural_rhetoric, Rhetoric on 1 Dec 2015 by morgan. This entry was posted in Pinboard Bookmarks and tagged collaborativewriting, DigitalHumanities, First Year Comp, google, theory, Wikis on 13 Aug 2012 by morgan. 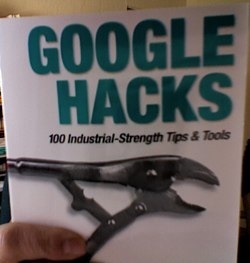 This entry was posted in Pinboard Bookmarks and tagged book, death_by_google, ebook, Facebook, First Year Comp, google, Marketing, myths, revisionist_history, twitter on 18 Nov 2010 by morgan. A catch-up post while reactivating postalicious. Immersive Education Initiative London Summit 2009 : Wonderblog – We ran this session more like a participative workshop (hence the lack of suitable recording) in which we asked the audience members to identify the current issues facing the deployment of Virtual Worlds in education (not just Wonderland).We broke the audience into three user categories: educators, developers and learning technologists and asked them to identify the issues particular to them. This entry was posted in Pinboard Bookmarks and tagged admissions, dangers, Facebook, Flickr, google, howto, immersivelearning, infographic, journalism, LinkedIn, literacy, mashup, mindmap, newmedia, plagiarism, PLEs, print, publicauthoring, Publishing, publishing2.0, research, searchengine, Second Life, socialmedia, socialnetworking, socialpractices, social_software, Software, studentlife, techadvice, tools, twitter, two_cultures, virtual_environments, visualization, VLE, wonderland on 26 May 2009 by morgan. There are going to be a lot of refugees. This entry was posted in General and tagged google, Publishing on 31 Dec 2008 by morgan.